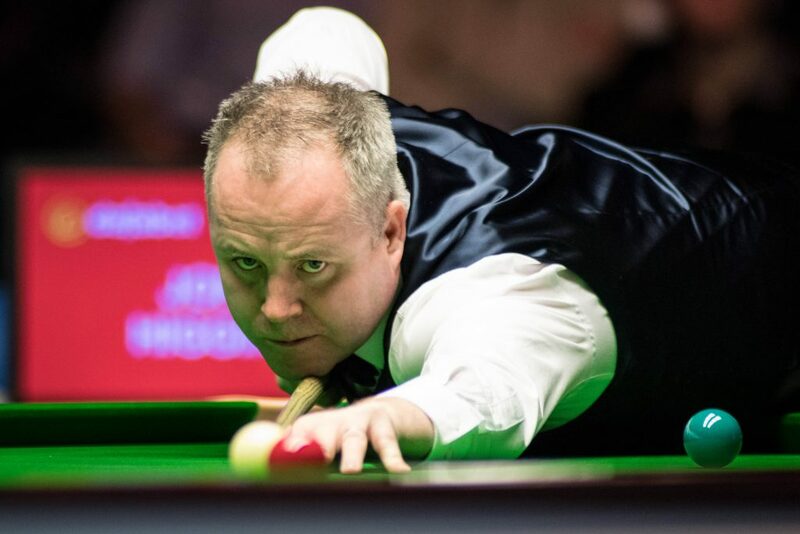 John Higgins and Ronnie O’Sullivan both progressed in Glasgow to set up a mouth watering quarter-final clash at the Dafabet Scottish Open. Higgins came through the day’s action without dropping a frame, as he whitewashed Gerard Greene 4-0, before beating Ashley Hugill by the same 4-0 scoreline. The Scot wasn’t at his fluent best this evening, but did compile runs of 52 and 66 on his way to victory in front of a packed out home crowd. The continuation of the Higgins and O’Sullivan rivalry will see the Wishaw cueman seeking to overcome a recent record which has seen him lose all four of the pair’s clashes so far this season. 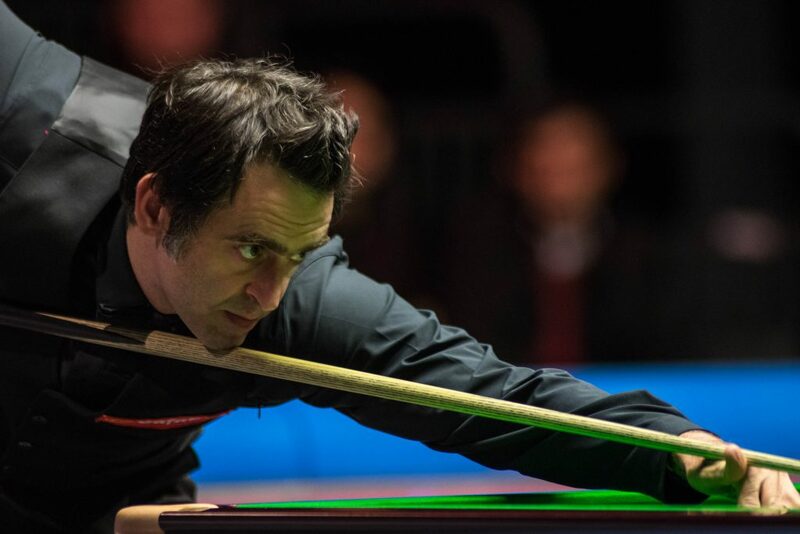 “I think tomorrow will be the only time from playing Ronnie around the world, that the majority of the fans will be on my side,” said the four-time World Champion. “He has an army of fans everywhere and has a great support up here in Scotland. That will add to the atmosphere. “The last couple of games I played against him I haven’t turned up and it was easy for him. I am definitely going to need to up my game. O’Sullivan negotiated the challenge of world number 26 and Paul Hunter Classic champion Michael White 4-1 in his last 16 tie. The Rocket composed breaks of 92 and 75 on his way to the win. He is relishing the prospect of tomorrow evening’s clash with Higgins. The 18-time Triple Crown event winner said: “It will be an unbelievable atmosphere tomorrow night. A quarter-final with John being a local boy. It should be fun. Scotland’s Stephen Maguire is still in contention for home glory after he defeated Chinese teenagers Yan Bingtao and Xu Si 4-3 and 4-1 respectively. The five-time ranking winner hasn’t tasted silverware since 2013. However, after a fine showing last week in reaching the UK Championship semi-finals, he looks to be in a strong position to contend for a first ranking win in four years. He will face an enticing last eight meeting with eight-time ranking event winner Judd Trump, who battled past Elliot Slessor 4-3. Ricky Walden progressed to the 20th ranking quarter-final of his career after a hard fought 4-3 win over Rory McLeod. Walden now meets Cao Yupeng, who whitewashed Leicester’s Tom Ford to reach the last eight. 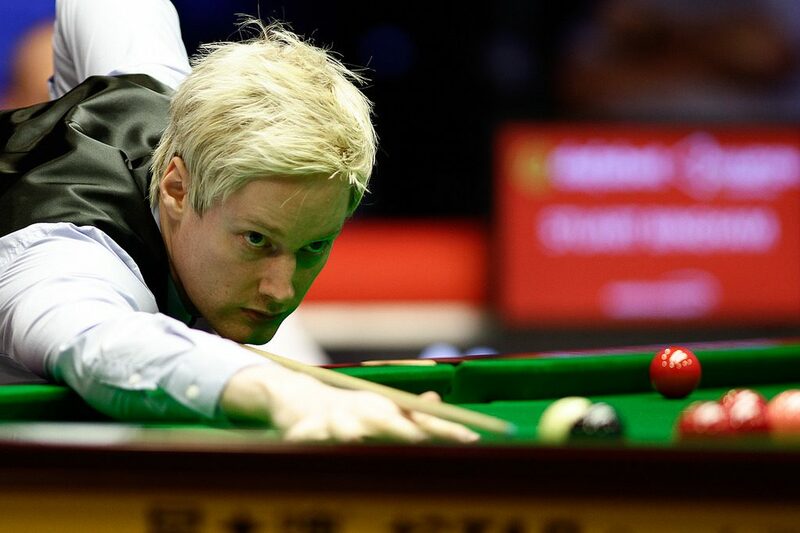 Neil Robertson produced an impressive four-frame burst to overturn David Grace 4-2. The Thunder from Down Under compiled breaks of 69, 102 and 124 as he stormed to victory. He will meet Xiao Guodong for a place in the last four after the 28-year-old ended Marco Fu’s title defence with a 4-3 win. Tickets are still available for tomorrow’s quarter-finals at the Emirates Arena, but are selling fast. Click here to book now.